Make your own homemade knife: small fixed blade « Adafruit Industries – Makers, hackers, artists, designers and engineers! 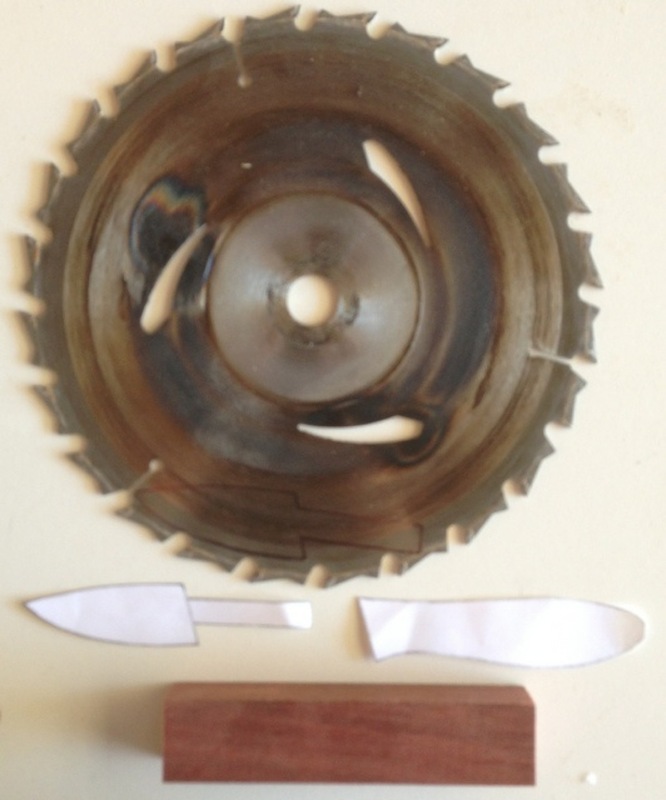 Make your own homemade knife: small fixed blade by Amy Qian. I’ve always wanted to make custom knives. When I finally deemed my circular saw blade too dull to use, it seemed like a great opportunity. The steel used in saw blades usually has high enough carbon content to be hardened, so hang on to them! (or mail to me ). I traced my blade pattern onto the saw blade and rough cut it with an angle grinder.